The awesome Plex Media Server can now be installed using Arch Linux on the Banana Pi models using multiple different methods. Arch Linux is a very small simplistic Operating System which provides more resources on the software your trying to run instead of the Operating System itself. Plex will run at full possible speeds using Arch which is always a good thing. It is assumed that you installed Arch Linux on the Banana Pi by following this guide. If not please look over it for required details. There are 2 tutorials in this guide. 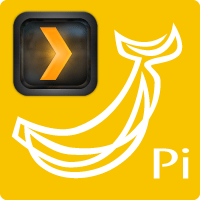 One for how to install Plex Media Server Arch Linux on Banana Pi Pro using the easy way (Repository install) and a guide on installing Plex Media Server Arch Linux on Banana Pi Pro from source. Now you can go-to http://local-ip-address:32400/web to see Plex. If you need help configuring Plex go here. 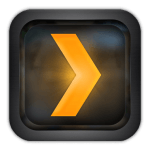 Grab the latest Plex Media Server package link for ARMv7 which can be found at https://plex.tv/downloads click NAS. Click the Synology tab and right click on the ARMV7 button and copy the link to the clipboard. Now you can go to http://local-ip-address:32400/web to see Plex.